When talented twin brothers, Peter and Paul Okoye, of P-Square released their hit tracks, Bank Alert and Nobody Ugly, many of their fans across the globe heaved sighs of relief. To observers, the fact that the brothers had come together to work in the studio and release new songs meant that they had put their years-old rift between them. How wrong they were! If latest developments are anything to go by, the Okoye brothers are still not at peace with one another. A pointer to this fact was established when Peter recently informed fans on his Instagram page that the brothers would no longer be performing at some concerts which they had earlier been booked for. Meanwhile, both brothers have established individual record labels. Peter signed Malcolm and DJ Switch to his P-Classic Records, while Paul invested a lot of effort in promoting the careers of Muno and Lucy, the new artistes signed to his Rudeboy Records. However, when the brothers made up, they seemed to stay action on their record labels. Now that they have re-ignited their feud, it remains to be seen whether they would both pick up the reins of their respective labels from where they left off. 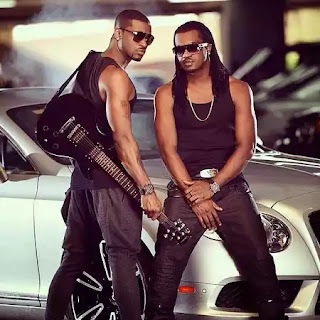 As a result of the crisis, the twin brothers lost a lot of brand equity but they were lucky enough that when they made up, fans accepted them wholeheartedly and the songs they put out became hits. However, with this latest episode, some analysts and critics have argued that the brothers are pushing their luck too far. It is believed that fans could finally get tired of their shenanigans, and no longer receive them with open arms when next they choose to embrace peace.